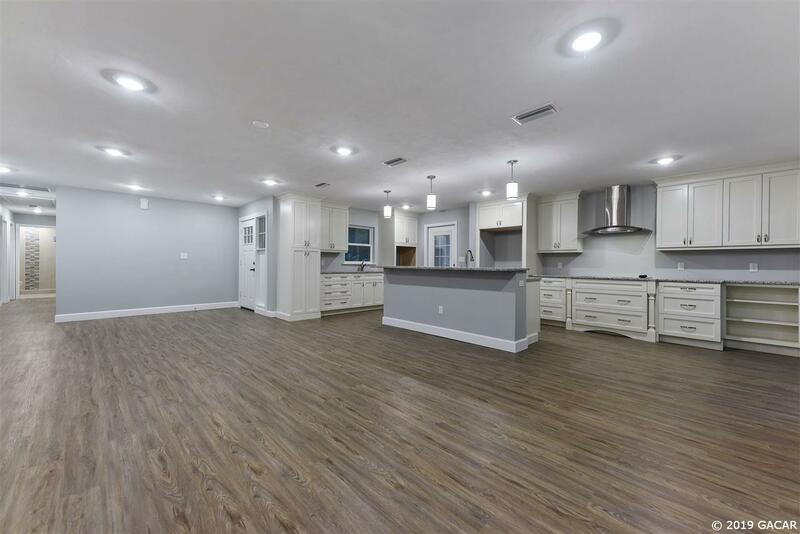 This newly renovated 4-bed, 3-bath home is move-in ready with stunning new floors, doors, and windows aligning the home and making it feel brand new. 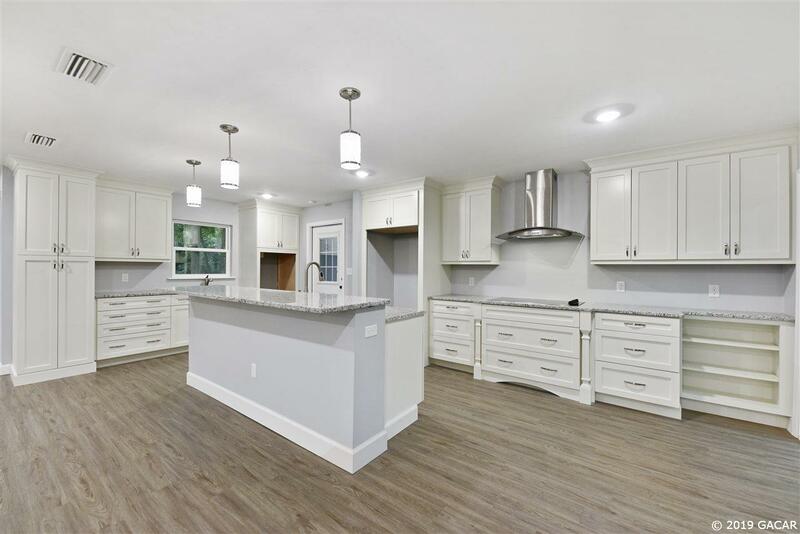 The light and bright kitchen offers all new cabinets, granite countertops, and plenty of space for your next dinner party. From the kitchen, gaze into a big and beautiful living and dining area that overlooks the private backyard with newly built wood deck. 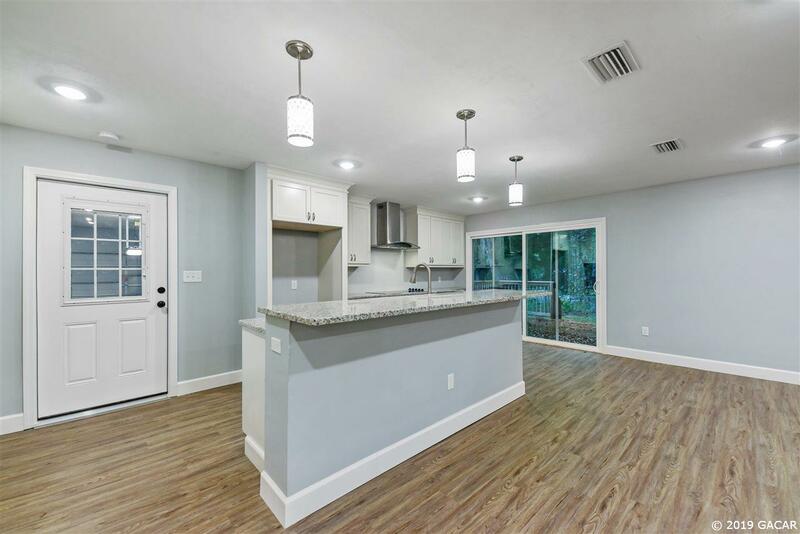 Enjoy the completely renovated bathrooms with their newly tiled showers and granite counters. Plumbing, HVAC, and Electric have all been updated, replaced, or redone. Additional green featured include spray foam insulation on underside of roof decking. This corner lot is within walking distance to Royal Park Plaza that offers shopping, restaurants, and a movie theatre. 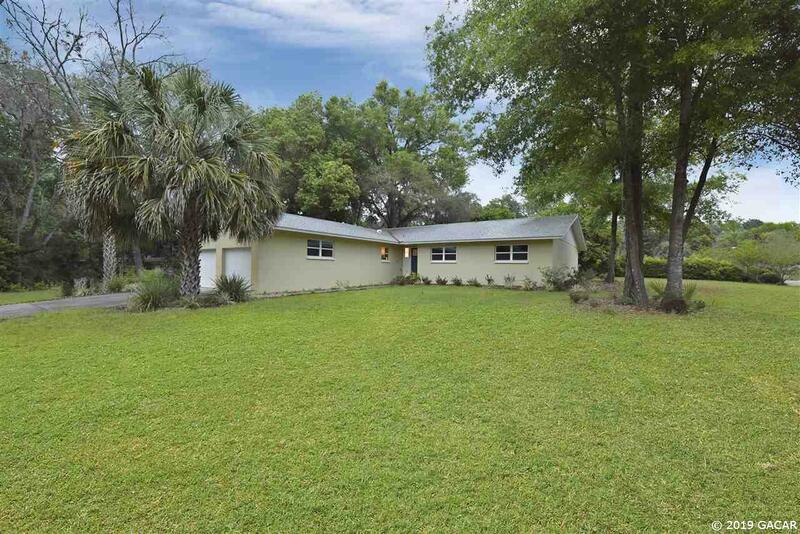 Close to UF, Shand's Hospital, Butler Plaza, and I-75, this home will welcome you in with comfort and ease.